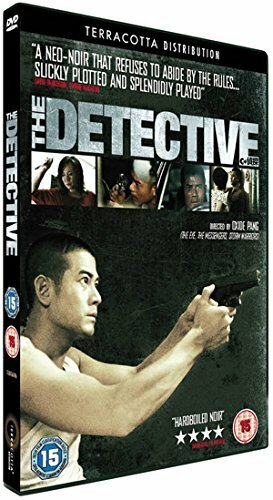 Nominated for multiple accolades and winning a Golden Horse award for best art direction (Anusorn Pinyopojanee) and the Film of Merit at the Hong Kong Critics Society Awards, “The Detective” is a complex crime thriller from the legendary Pang brothers who staked their claim in cinema five years prior, with the internationally renowned horror ‘The Eye’. We follow private detective Tam (Aaron Kwok) through a multi layered story, in a stylish neo-noir that at times borders on the horror Oxide Pang is known for. Tam is a struggling private detective who is having a fairly boring morning, when a local drunk named Wing stumbles into his office to disrupt his mundane day and, unbeknownst to him, his entire life. He claims a local woman, Sum, is following him and maybe even trying to end his life. Wing pays him in full to follow her and ensure his safety, giving Tam little more than the name and a single photograph of her to compete this request. Unable to get any real leads on the mysterious Sum and following a tragic discovery, Tam gets in touch with local crooked cop and child hood friend Chak and the two of them become entwined in this clever, slow burning mystery. Oxide Pang presents a recognisable character in Tam, who, growing up with a difficult childhood, is proving to himself he is more than what is thought of him. He may work fairly outside the realm of normality compared to his police compatriots, but he gets there in his own way. 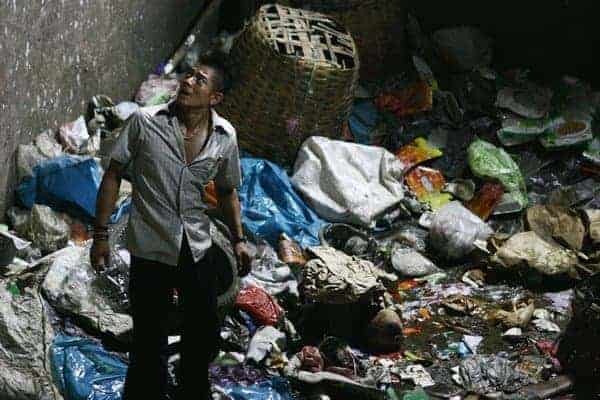 Set against the back drop of Thailand’s gritty city streets, the cinematography (Decha Srimantra) is a triumph for the genre with a saturation that makes you feel an uneasiness even in the lighter scenes. The editing (Curran Pang) only adds a further layer to this, keeping you always on the edge of your seat. The film manages to build suspense in all technical aspects including a great score from Jadet Chawang and Payont Persmith (‘The Remaker’) which creates a wonderful sense of dread throughout its 110 minutes of runtime. 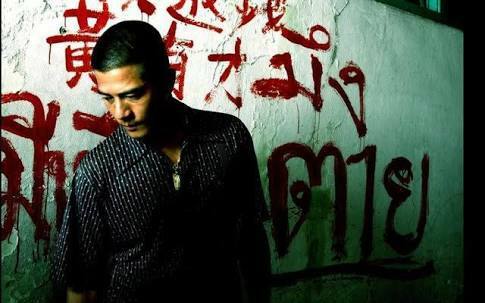 Aaron Kwok (‘After this our Exile’) plays our protagonist Tam superbly, creating a greater level of intrigue for the viewer and supported by Kai Chi Lui (Infernal Affairs 2) as his boyhood friend and Lai Yiu-Cheung (Sai yau gei) as the drunk who starts it all, is an accomplished and well rounded cast. The Pang brothers were accused of letting their talents go to waste, with some fairly mediocre offerings after the brilliant ‘Bangkok Dangerous’ and the aforementioned ‘The Eye,’ but for me ‘The Detective’ really put them back on track as a force to be reckoned with in the Asian cinema landscape. Overall an enjoyable, well executed film that pushes the boundaries of what we expect from a Hong Kong crime movie. Nathan is a writer from regional Australia who is a lover of cinema and all it has to offer. He adores Asian cinema for its ability to be unpredictable and not follow any of the rules most others do.